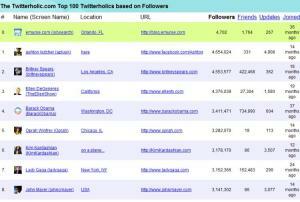 Tracking tools come in handy when you want to measure the success or use of your Twitter account. Many of these tools are created with the users in mind, and they can help you manage your followers as well as help you find followers by location. With the surge in Twitter usage, many people find themselves wishing they had a little bit more control over their Twitter accounts. Management and analytic tools have been developed to fill this void. Twitter track tools are a relatively new phenomenon since Twitter has only been available since 2006. Even so, application developers continually work to provide stronger tools for power users. If you want to manage or manipulate your Twitter accounts, here are a few sites to help you on your way. Do you want to know how well optimized your Twitter account is? Twitter Grader can help by providing a grade to your account based on how well it's utilized, and it will let you know major areas of improvement. Beware, though. High grades on Twitter Grader don't automatically make you a marketing superstar! If you want to clear your account of spam followers, Tweepi is a great site to use. You can go right ahead and perform a "geeky flush," which uses the benefits of mathematics to let you know who should get the boot. Tweeter Karma is a simple application, but it's a great tool to keep track of who you follow and who follows you. 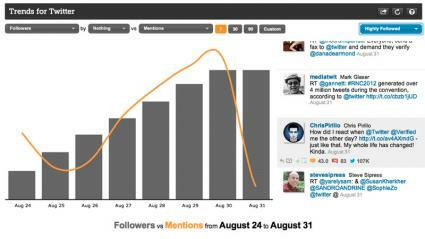 While other tracking tools do this in a more sophisticated way, Tweeter Karma makes it easy. Tweet Stats can let you know all about your tweets, from a timeline of when they occur to more detailed information. The site is great for keeping track of yourself. Your number of followers might not equal just how well your message gets out there. 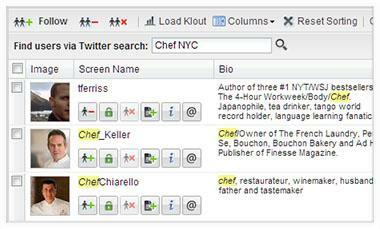 Klout lets you know exactly how much of what you say affects others. Wondering about re-tweets? Retweet Rank shows you your account's retweet percentage. This percentage can be invaluable to see how much content you're putting out there. Twitaholic scans the Twitter public timeline and calculates individual stats for users. 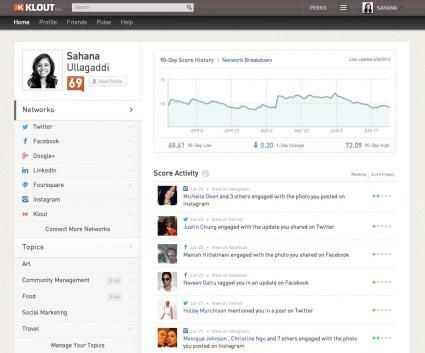 The tool determines the most active and followed Twitter users, based on number of followers, friends and updates. Most of the top 100 are celebrities. Twitalyzer is an amazing application that digs deeply into your tweeting habits and sifts through your profile to identify your followers, who you're following, who's retweeting or mentioning you, and so on. The online app then gives you a breakdown of where you're successful and where you're lacking. Twitalyzer also provides excellent graphs and charts that display your Twitter profile health vs. the typical "average" Twitter user on the web. This information shows you whether you're above or below the general curve. TwitterCounter: You do need to submit your ID and password for this web application to work, but the benefits of doing so are great. At TwitterCounter, you receive some of the most important analytical feedback about your profile in chart format. Use it to watch for hot topics that you tweet about. There are a few things to keep in mind as you use any of these tracking tools. Many Twitter track tools can only work with public accounts. Be prepared to either not use many of the wonderful sites out there, or make your account public for a period of time to use them. The Twitter Authopath is a popular connection tool that authorizes tools to access your personal Twitter. Don't worry, though. It's a lot safer than you might think, and it protects your password. Sometimes the tools get it wrong. Don't worry too much if a management tool tells you that you never Tweet. Often, the code is just reading your Twitter inaccurately. For power Twitter users, analyzing is just another step in finding out how to make your account stronger. For the infrequent user, a tracking tool can help you become a power user. Feel free to use each tool as it fits your needs!